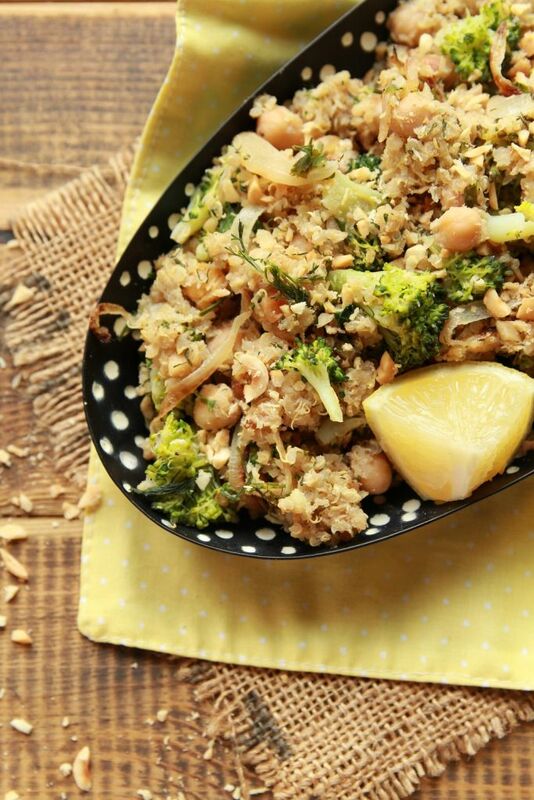 This nutritious, healthy and wholesome vegan quinoa stir fry is perfect for all the busy bees out there providing them with an extra energy boost, plus it also makes a perfect workout meal. 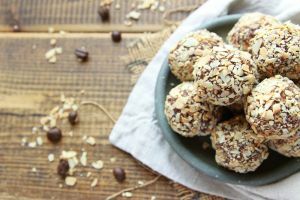 It’s high in iron, and protein, rich in calcium, and potassium, comes together in just under 30 minutes, plus it will fill you up, and keep you energized, while spending minimum time in the kitchen. But wait, it gets better! Now I know I’m no nutritionist, but what I do know is that quinoa is a super grain! 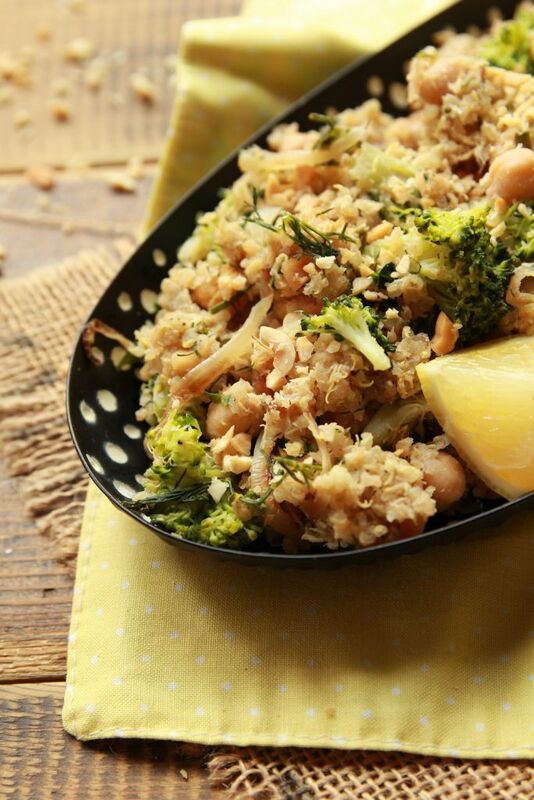 It’s a complete plant protein, meaning that it contains all of the 9 essential amino acids. It’s rich in iron, manganese, magnesium, and SO much more. So, what did I decide to put into this quinoa stir fry? I began by frying some sliced onions in a wok pan until they started to brown, then added in the quinoa, and chickpeas and let them slightly fry. In a separate pot I cooked the broccoli for just a few minutes, and seasoned the dish well with sea salt and pepper, along with some nutritional yeast. Oh how I love nutritional yeast! I can literally find a use for it in any savory dish! 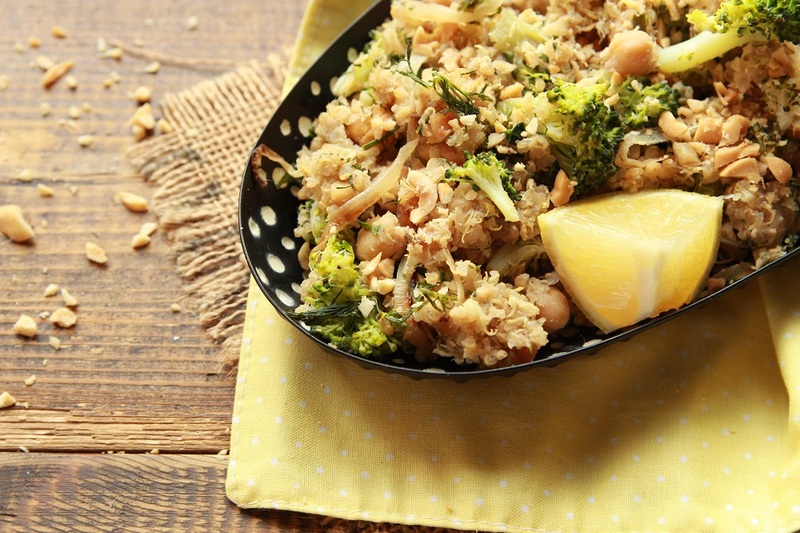 But back to this brilliant and mouthwatering quinoa stir fry. I finished by adding a generous amount of freshly chopped dill and parsley, and before I knew it, dinner was ready, plus I had an extra serving to enjoy the next day. You can also easily double the recipe and keep it stored in the fridge for up to 4 days, and save yourself having to plan an extra meal. To cook the quinoa, place the quinoa into a pot, add enough water to cover up to an inch (2.5 cm) above the quinoa and bring to a boil. Cook until the quinoa is soft, then drain and set aside. Break the broccoli up into small florets, and place into a small pot. Cover with water and bring to a boil, then cook an extra minute, drain and set aside. Peel, wash and slice the onion in half, then into long thin strips, and crush the garlic cloves. Heat a pan on medium heat, add the peanut oil and sliced onion, and cook until they start to brown, occasionally stirring. Next add the crushed garlic, and drained quinoa along with the chickpeas, and toss for a few minutes. Season well with sea salt and ground black pepper, add the nutritional yeast and toss to combine. Wash, dry and finely chop the fresh dill and parsley, roughly chop the peanuts, then add them along with the broccoli, and a squeeze of lemon. Adjust seasoning accordingly, take off the heat and enjoy. 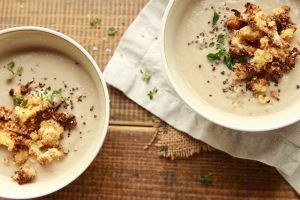 You could also pair this vegan quinoa stir fry with my easy and delicious Cauliflower and Chestnut Soup. And finish your dinner with a chocolate treat here. It’s up to you. So, enjoy, share with family and friends, and let me know what you thought in the comments below. ← Decadent Gluten Free Chocolate Cake – Vegan!